You want to pay your property tax or house tax in Delhi, you have come to the right place as the process of paying property tax in Delhi is quite easy. You can use Municipal Corporation of Delhi (MCD) online portal to pay for your property tax online as it really is simple to make online payments to MCD. MCD is divided into the North Delhi Municipal Corporation which includes areas like Karol Bagh, Sadar Paharganj, Civil lines, Nartela, Rohini, South Delhi Municipal Corporation which includes areas like Central Delhi, South Delhi, West Delhi, Najafgarh and East Delhi Municipal Corporation which includes areas like Shadara south, Shahdara north to lessen the burden on just one department and to make sure the transactions are smooth and covenient for users as well as sort out the cases easily. 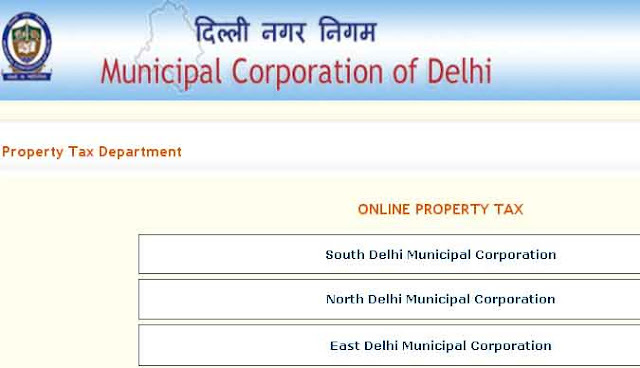 Municipal Corporation of Delhi (MCD) is the responsible body to collect property tax on all land and property that comes under its jurisdiction in Delhi. There is always a deadline for paying MCD house tax Delhi every year when a consumer has to pay all property taxes. 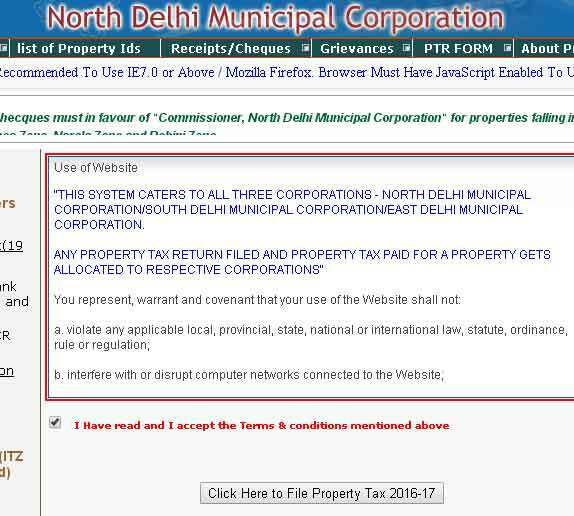 -Go to www.mcdpropertytax.in and select one among the three Municipal Corporation departments - North Delhi, East Delhi or South Delhi Municipal Corporation based on your location. -You are shown the terms and conditions page, check the box below the terms to confirm you’ve read them and then click on the button “Click here to file Property Tax (year)”. -On the next screen that comes up, you need to enter your Property ID in the space provided. 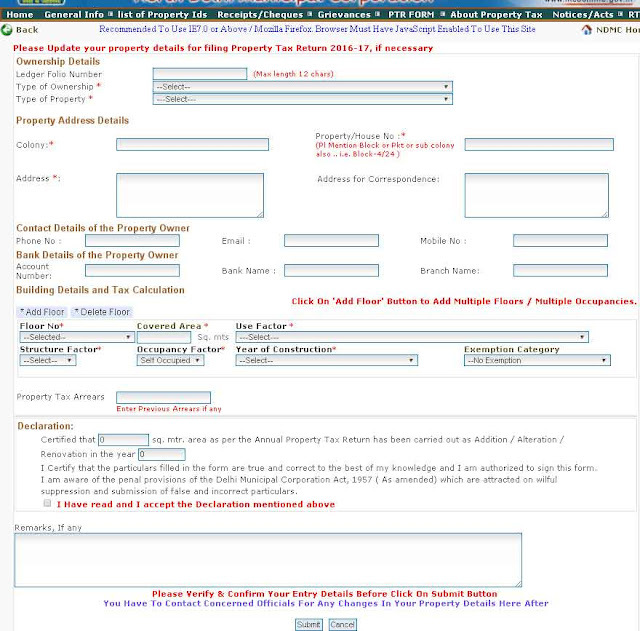 You can find your Property ID on your previous Property Tax Challan/receipts. 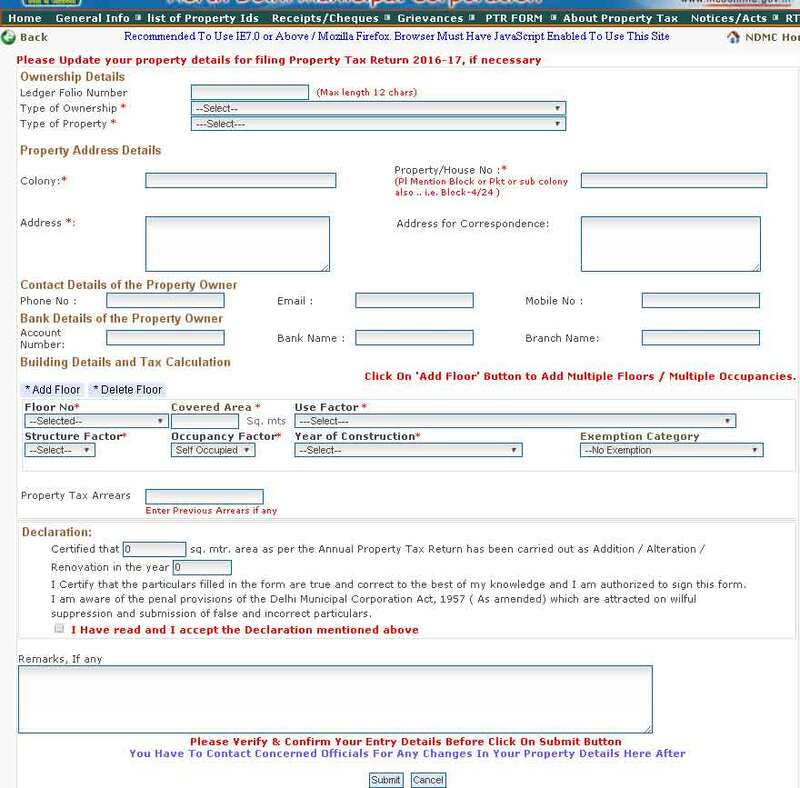 If you don’t have a Property ID, you need to click on the link at the bottom of the page that says "Click Here to File your Return if Property ID has not been allotted earlier.You need to fill out the form with all the details relating to your property, if you don't have the Property ID. -If you do have your property ID, you need to enter it and click submit. You must keep your previous property documents near you while filling out the property tax form for the current year. -After you Submit when you have your Property ID, you will then be shown a page where you will see information related to your property under an “Ownership details” document. -You will find all the details automatically filled up in the property tax form and you will be shown an automatic calculation of your property tax. This amount shown is the property tax you have to pay. Check and confirm all the information or modify the things you think are incorrect.-To pay online house tax or pay online property tax Delhi, choose one of the payment options (cash, cheque, DD). -Make sure all the details are properly filled in and then click on “Generate Challan”. You must take a print out of the same. A unique property identification code or Property ID for each property in Delhi ensures smooth process for the Govt. as well as people. If you want to pay house tax Delhi or pay property tax Delhi offline and don’t wish to pay the property tax online, you can pay it at one of 800 ITZ cash outlets across Delhi. You will immediately get a receipt of your offline property tax payment which includes your property ID to be used for all future payments. You can also do property tax payment by cash at HDFC Bank(19 Branches), By Cheque - HDFC Bank (All branches at Delhi and NCR), Axis Bank (Delhi & NCR Branches Only).